There are many forces at work, children. Gather round, and I will tell you the tale of two fundamental creatures that shape our world. Entropy is inevitable. All matter and energy eventually fades. The universe is always spiralling into heat death. 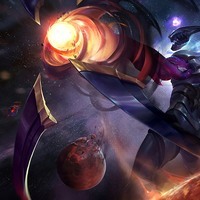 It is Dark Star Varus who keeps it that way. Countless planets and stars are consumed by him, struck through by his enormous meteoric bow and arrow. The rubble and dust is sucked into his maw, never to be seen again. He is Entropy Incarnate, one of many members of the Dark Star. And he's not even the worst one. The universe must maintain balance. The delicate dance of planets around their mother star, the moon around the Earth, the swirl of stardust as it becomes nebulae. All of these things are Kassadin's domain. When you look up into the sky, you are seeing his handiwork, his passion. Although the Dark Star's entropy is inevitable, so too, is hope. 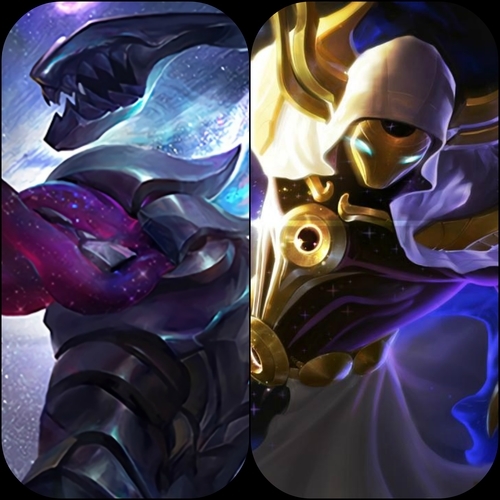 This is a duo-voice project for Cosmic Reaver Kassadin and Dark Star Varus! He is the arbiter of balance, of the stellar ballet. Planets know their place when he appears, stars are cowed and obey. Everything resumes its orbit and moves as it should thanks to him. This voice is calm, soothing, but tinted with otherwordly horror. Although he is benevolent, he is not human. I have danced among the stars... my children dance among the planets. See the Universe as a mother who loves her children, and you will no longer be afraid. Never assume the stars are in your favor. Everything reaches the stars one way or another. Beyond this dream, the cold expanse of space waits. I shine like the sun. Turn to me, and blossom. The Universe is collapsing because of him, and he loves it. 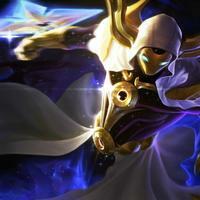 Absorbing all matter and energy into his body, Varus' voice is silky, dark, and calculating. He doesn't care how this battle ends. He's already won the war. The endless void gazes back. I am your heat death. Only entropy comes easy. The rest... follows behind. The universe unravels in an instant. Life cannot exist in a vacuum. You're racing towards entropy... you're racing towards me. Nothing is lost. It is only... reclaimed.